The deadline to apply for Kellogg Community College’s Dental Hygiene Program beginning this fall is Friday, April 1. KCC’s two-year Dental Hygiene Program is accredited by the Commission on Dental Accreditation and prepares graduates for licensure as Registered Dental Hygienists, cleaning teeth and performing dental exams with dental assistants and dentists. 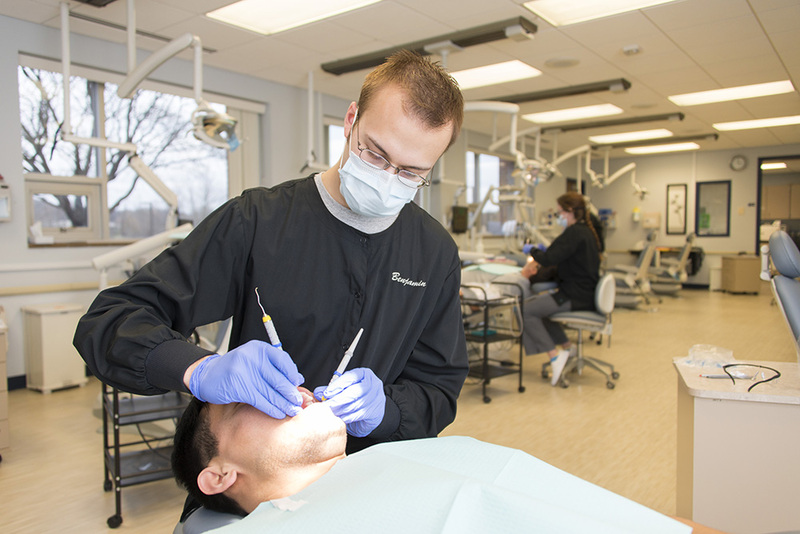 Students spend a significant amount of time gaining hands-on experience in a practical clinical instruction environment by working in the College’s Dental Hygiene Clinic on campus in Battle Creek. Completion of KCC’s Dental Hygiene Program results in an Associate of Applied Science degree in Dental Hygiene and makes graduates eligible to take the National Dental Hygiene Board Examination and the regional American Board of Dental Examiners (ADEX) Dental Hygiene Examination, through which they can earn industry recognized professional credentials. Dental Hygiene Program requirements, applications and more information is available on KCC’s Allied Health Web page at www.kellogg.edu/allied-health. Individuals interested in applying to the Dental Hygiene Program at KCC are encouraged to speak with an academic advisor, and can schedule an appointment by calling 269-965-4124 or emailing advising@kellogg.edu. For more information about KCC’s Dental Hygiene Program, visit www.kellogg.edu/dentalhygiene.